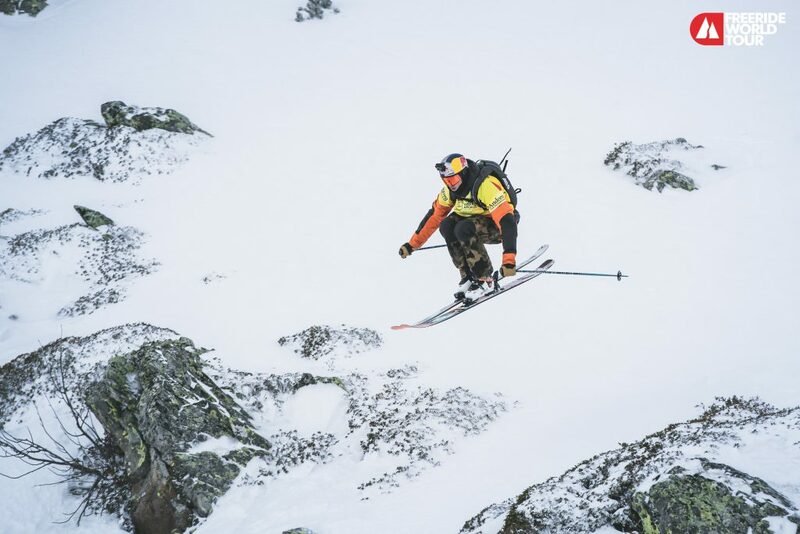 Markus Eder is arguably the best skier on the planet right now. 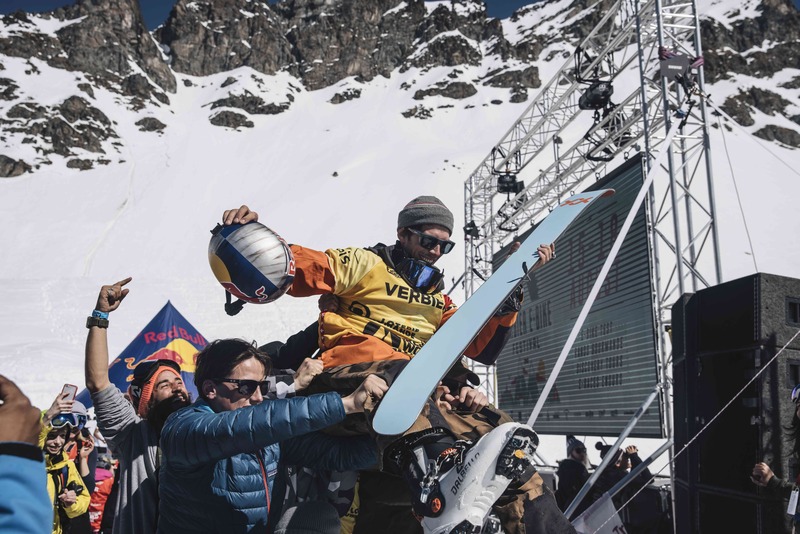 The super versatile, uber talented athlete has competed at The X Games and The Winter Olympics, laid down memorable segments in several ski movies and last weekend he added the Freeride World Tour 2019 Men Ski title to his list of achievements. “I actually found out about it before I dropped in for my run. My buddy, Fabio Studer, called me up to tell me that Kristofer (Turdell) was lying in second which then made me the world champion. MARKUS ON – GOING FROM 2ND PLACE IN 2018 TO 2019 CHAMP. “I think I was just that little bit more focused, like I really wanted to win. Since last summer, my objective was to win. Last year I was doing quite a lot of other projects but this year I just focused on the Tour. I couldn’t really think of anything else and I think that’s why I made the breakthrough. “Seeing Kristofer Turdell ski, is always amazing. How fast he goes and how smooth he makes it look, even in super-sh*tty conditions, that’s something that completely blows my mind. He has such good style. It was also cool to see Leo Slemett laying down his run in Verbier. That was a really sick one. Pretty much the whole comp in Verbier was crazy. 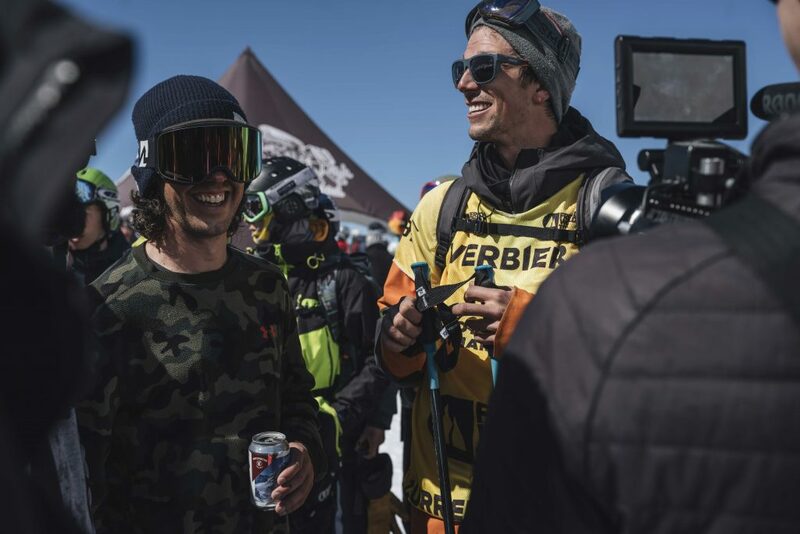 Elisabeth Gerritzen went so big and put down the kind of line I haven’t seen from a girl before and it was so cool to see Victor De Le Rue take home the Mens Snowboard Title as we’ve been scoping a lot, travelling and just hanging together this winter. Mickael Bimboes’ line really stood out for me, going double the size of Hollywood cliff. Just full send! He would probably have dislocated both of his legs and arms if he had started tomahawking! “I’ve competed since I started freestyle skiing and the main difference is that on the FWT you only have those five runs. You have to be consistent. You have to put so much effort into scoping so you don’t make a stupid mistake which could screw you up in the overall ranking. It’s just so easy to crash! Something can always come up so you need to make sure there won’t be any surprises. It’s pretty rough not being able to touch the snow! It’s also just really hard to ski consistently well throughout the season. CONGRATS MARKUS AND ALL THE OTHER FWT 2019 COMPETITORS. WE’RE LOOKING FORWARD TO NEXT SEASON ALREADY!